We are a family of 8, mostly teenagers…so ya…everything goes really fast! 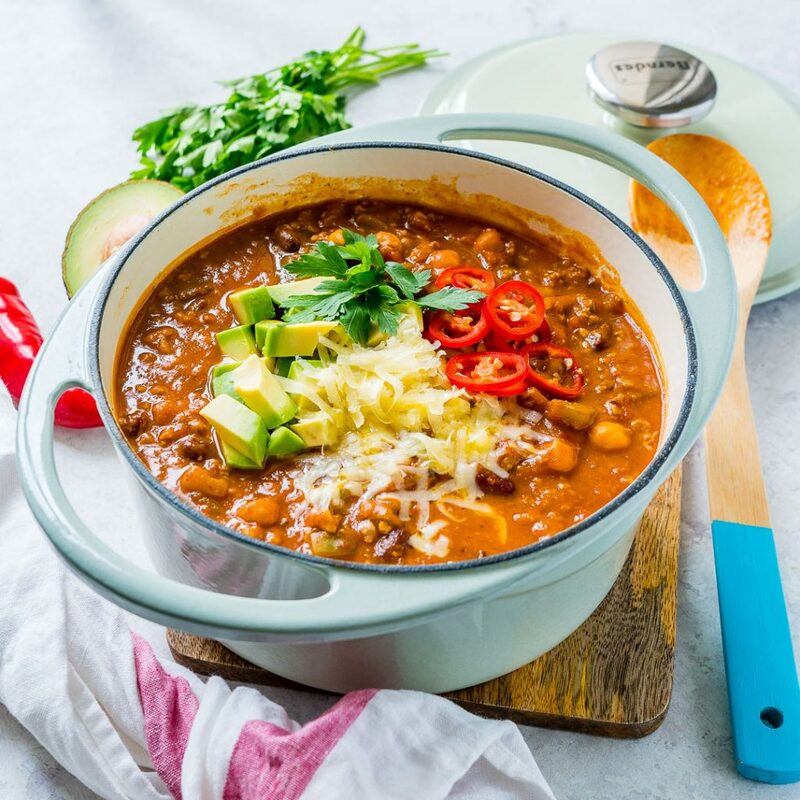 There is very little waste at our house because we send lunches and snacks with everyone to work and school, I eat at home throughout the day, run a full-time food blog, we do not eat fast food, and we place a HUGE importance on healthy, REAL, high-quality food. We LOVE to cook, and eat at home together, and that is a priority for us most mornings, and evenings. 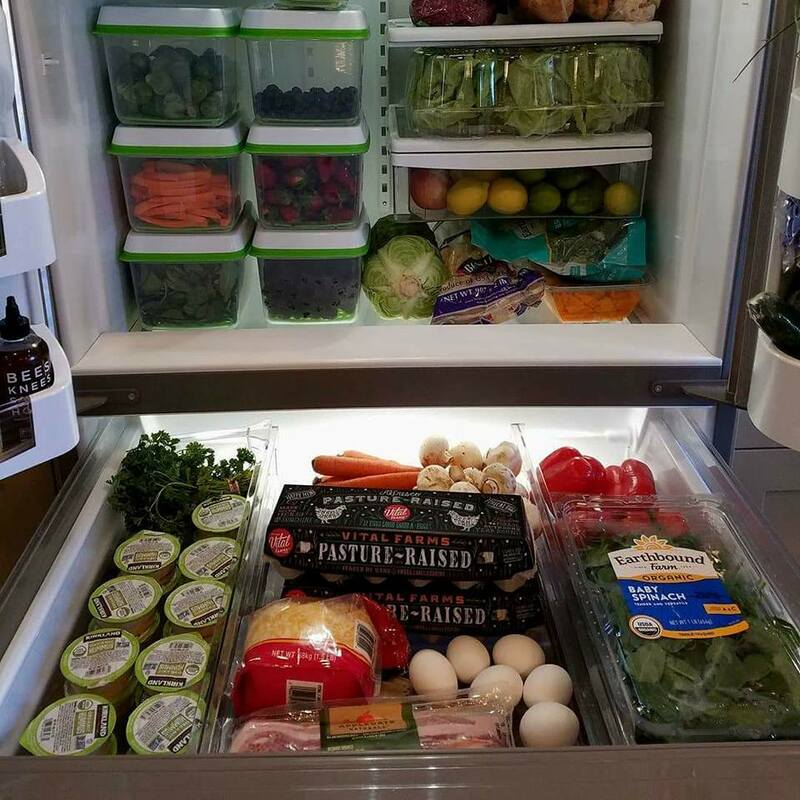 Here’s what I did for meal-prep, I hope it helps you find what works for you! 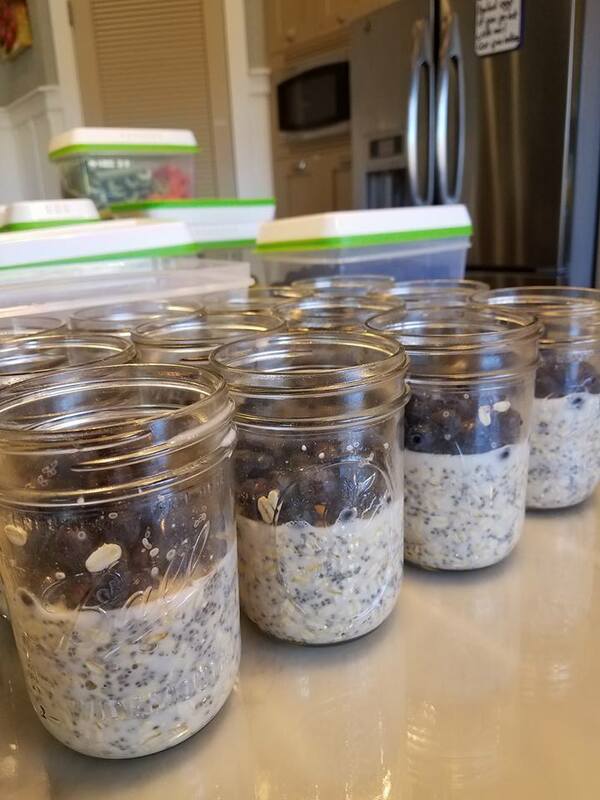 Blueberry-Chia Overnight Oats are prepped for the next 4-5 days (my soon-to-be husband LOVES these…which makes me SO happy because he works LONG 14 hour days, so I REALLY like sending these with him! I made a big batch of homemade pumpkin chili, and detox chicken veggie soup for the week. These will become dinner one night each, and fill in as my lunch since I work from home, also GREAT afternoon snacks for the kids! 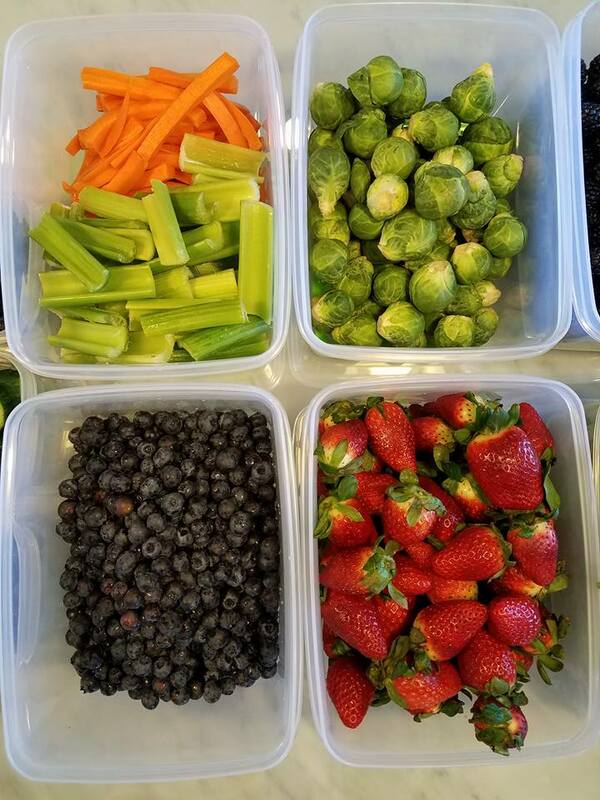 Veggies and Berries are rinsed, and ready to eat. I rinsed a TON of organic berries found at Costco this morning. 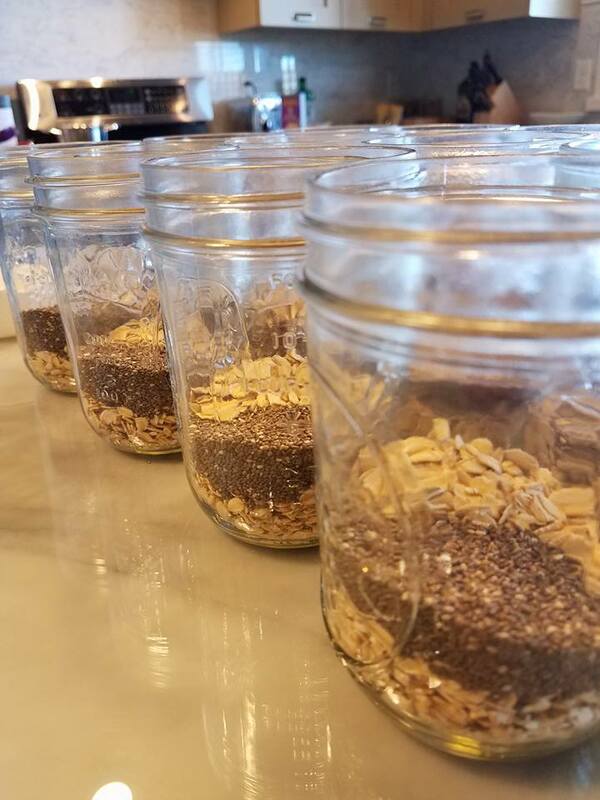 These will become smoothies, additions to breakfasts, and also snacks! Everyone has their own prefernce to rinse beforehand or not to rinse until ready to eat. It’s a personal choice. 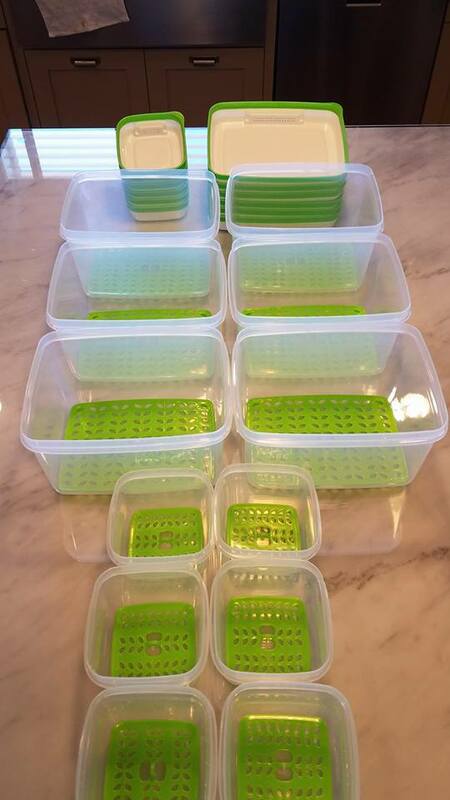 In order for fresh produce to last the longest, it is suggested that no rinsing beforehand is the solution, HOWEVER, I have found that my family actually consumes the produce much faster, with less waste + eats more when it’s rinsed and ready….so you can see how it’s personal depending on family size and use. I chopped up some carrot sticks, celery sticks, and cucumbers, so that the kids would have access to quick munchies to throw into lunches, and dip in hummus after school. Usually, I like to roast several veggies ahead of time, but today I simply made sure we have plenty of fresh spring greens and spinach for the week ahead. I also rinsed brussels sprouts, and cauliflower, so that it only takes a few minutes to get it roasting in the oven over the next few evenings. 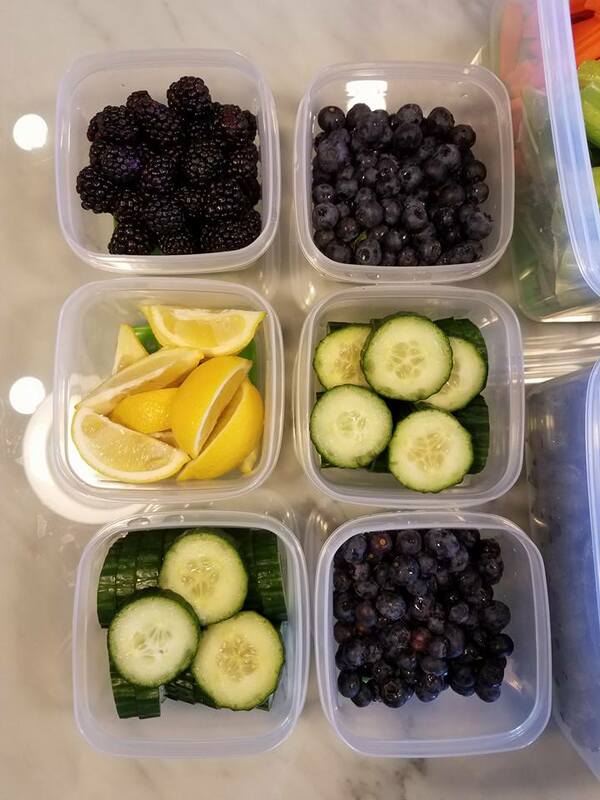 These Rubbermaid FreshWorks Produce Saver Food Storage containers REALLY work quite well, and were purchased on Amazon. I’ve found that these containers keep the moisture off of the produce, and YES they are food safe because we do not heat them. 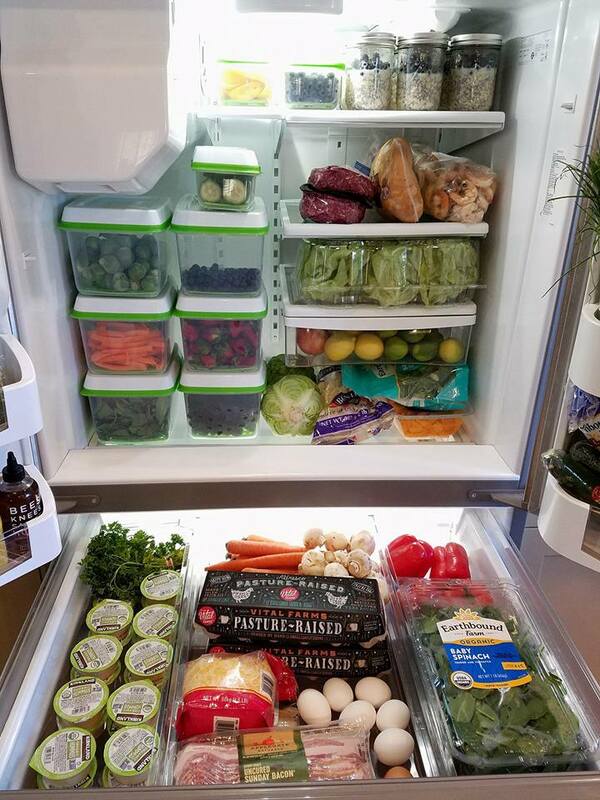 Please realize that my fridge reflects our large family size, and our long-time eating habits. This is meant to inspire you, to make it your own. My freezer is not pictured here. 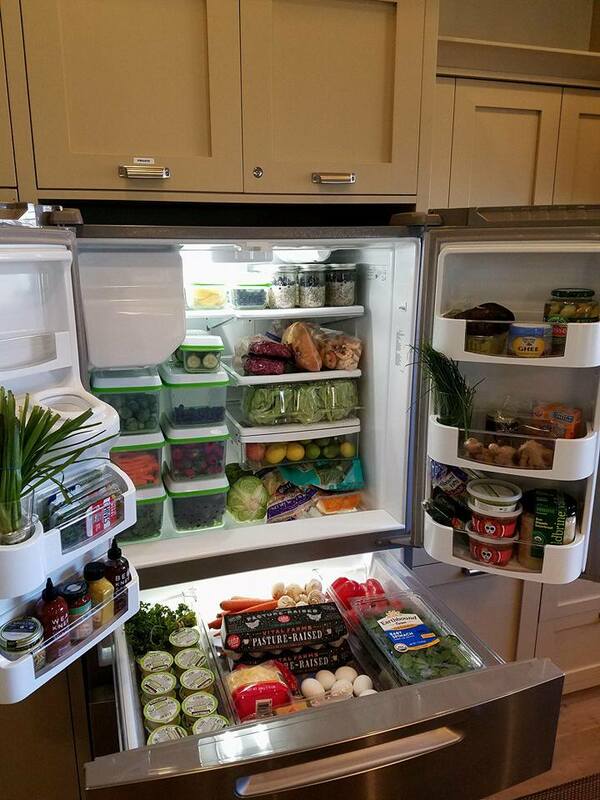 This is all fridge space. Ready to get started?! Here are a few more meal prep ideas for you to try today! P.S. 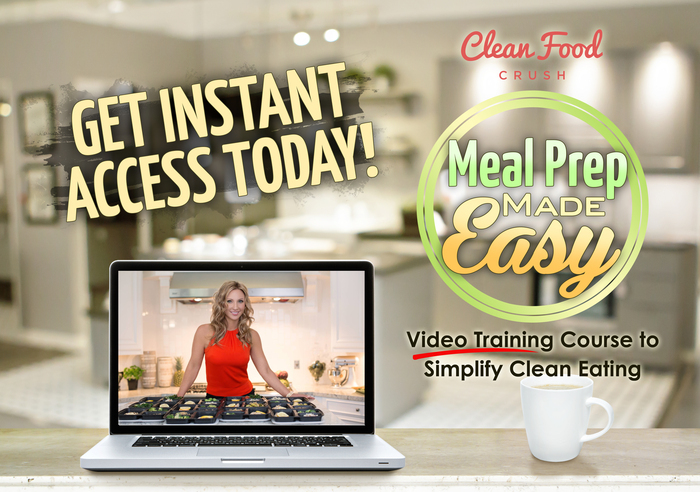 – If you want to learn how to Meal Prep directly from me, check out my Meal Prep Made Easy Video Training Course to Simplify Clean Eating.